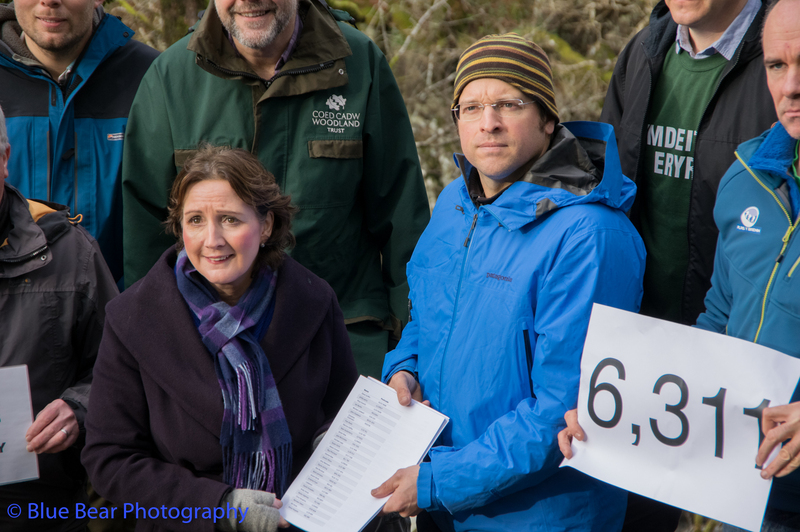 On Friday the petition that you have all been signing and sharing was delivered to Janet Finch-Saunders AM (the Assembly Member for Aberconwy) with 6,311 signatures. She will take it to the Senate in Cardiff and hand it to Carl Sargeant Minister for Natural Resources. The handover took place at the beautiful Conwy Falls which would be affected by the proposed scheme. Also there were representatives of the groups working alongside Save the Conwy to object to the scheme. Duncan Eades Canoe Wales, Rory Francis Woodland Trust Wales, John Harold Director of the Snowdonia Society. A copy of the petition will also be sent to the Snowdonia National Park ahead of the Planning Committee meeting on March 2nd. 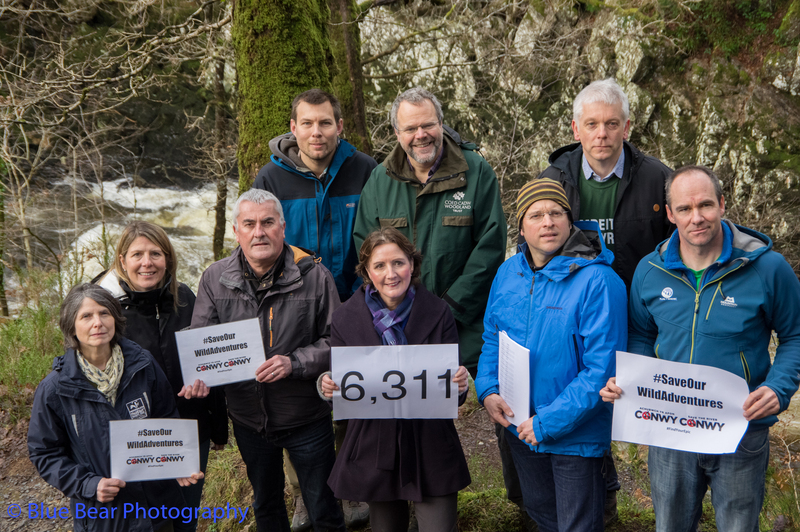 The petition has only been a part of the campaign and sits alongside all our work with both the Snowdonia National Park and NRW, the fight is far from over. Thanks to those who have signed and to those who have written letters of objection to both the Park and NRW. Stay in touch for more ways to get involved.